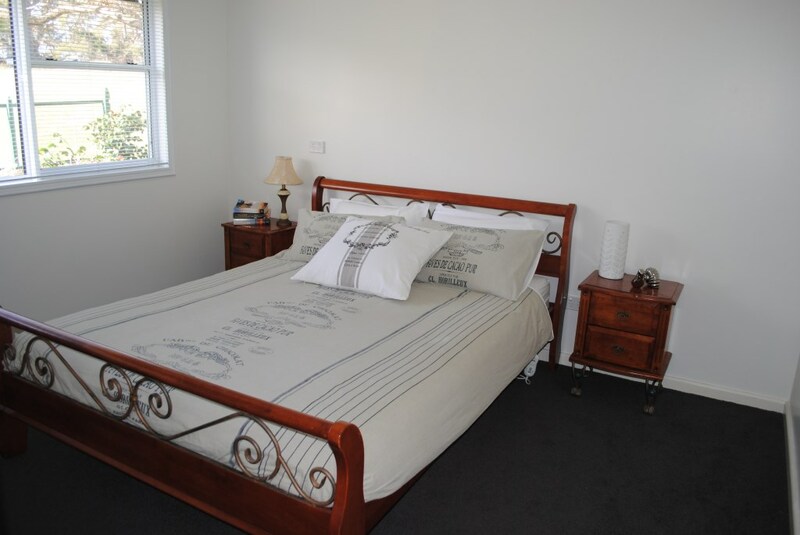 Ideally situated on the Princes Highway Kalimna West this 105 acre property is only 5.4 kilometers to Lakes Entrance and the 90 mile beach, 7.4 kms to Swan Reach and the Tambo River, renowned for its fishing and Black Bream Metung is another beautiful destination to visit only 14.7 kms. The Colquhoun State forest is literally a 2 min drive away with its purpose built mountain bike track, bike and horse riding trails, and the lovely Log Crossing picnic/bbq area, with its rainforest walk and the swing bridge over Mississippi Creek. 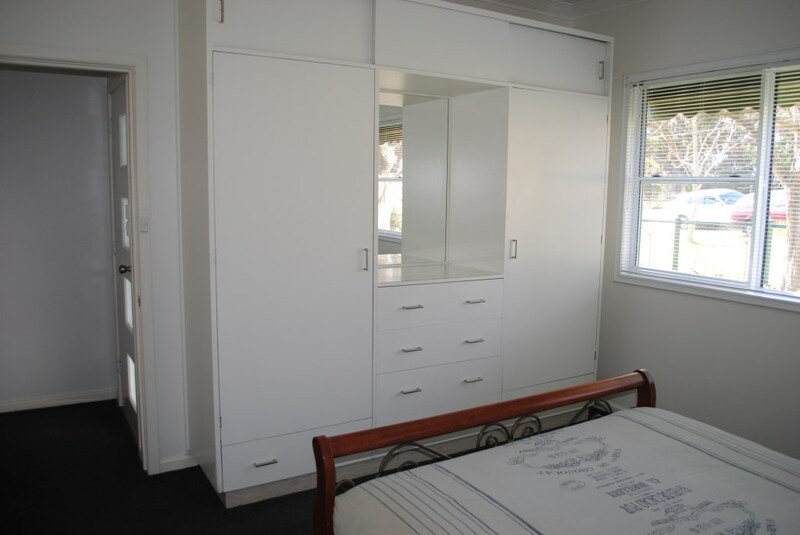 3rd bedroom has 2x sets of double bottom single top bunks. 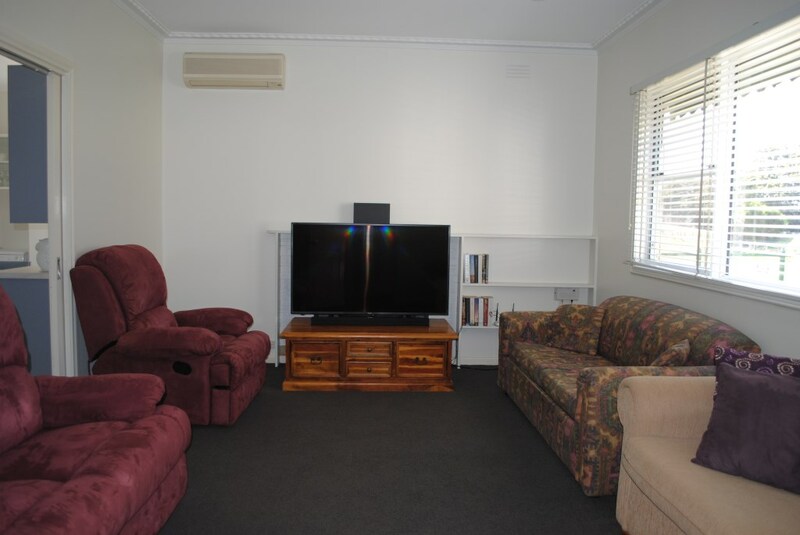 The lounge room is well appointed with reverse cycle air conditioning, and a 55 inch Smart TV. 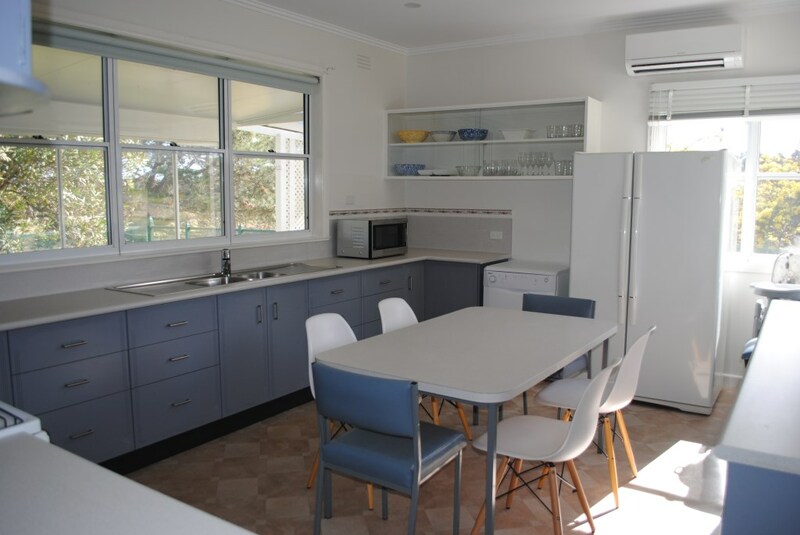 Kitchen/Dining consists of Gas cooking, microwave oven, large 2 door fridge freezer, dishwasher, reverse cycle air conditioner all crockery, cutlery and cooking utensils supplied. Bathroom- shower toilet, vanity. 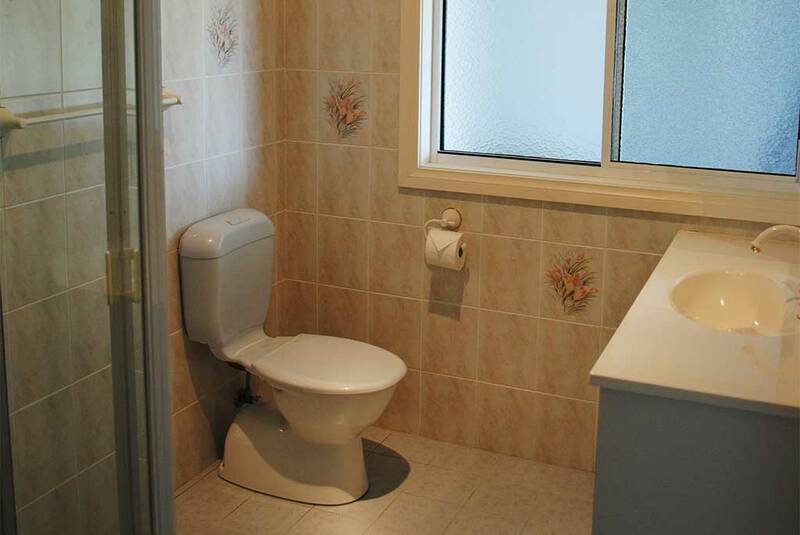 Second toilet in laundry. 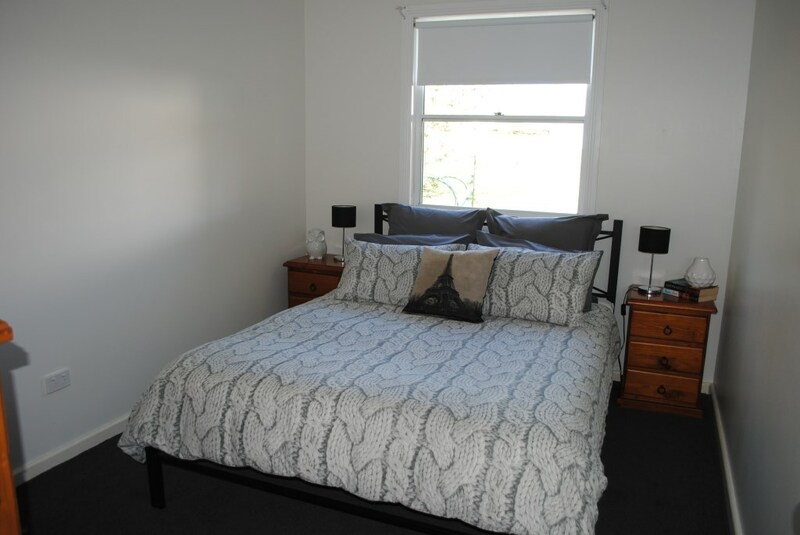 Laundry- has a large washing machine, iron and ironing board and detergent is supplied. 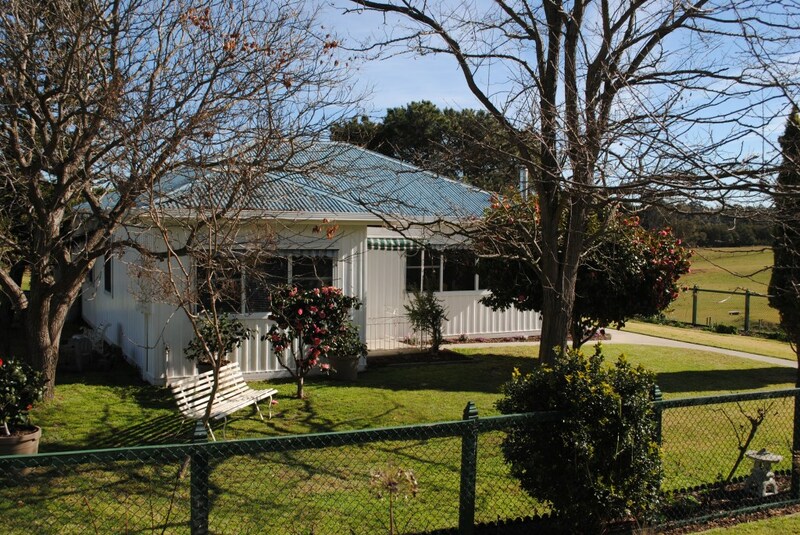 Large fully enclosed yard with extensive gardens and large shade trees. Under cover Bbq with large outdoor setting. 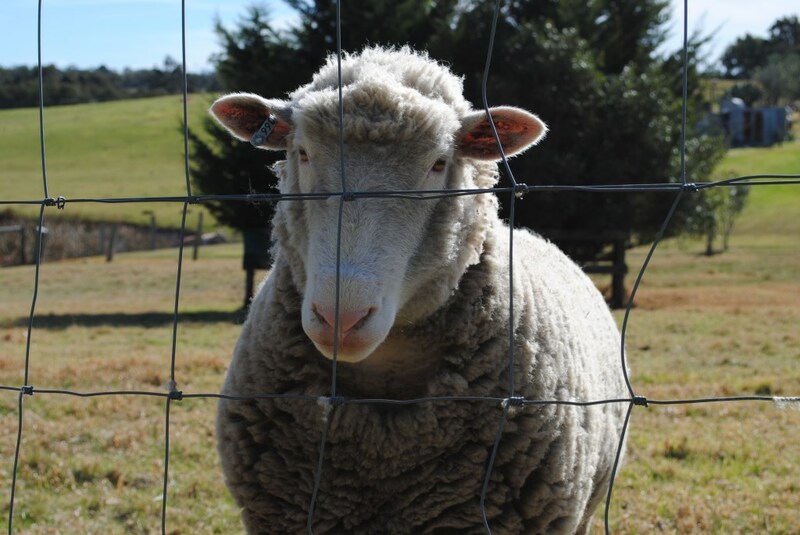 George our resident pet sheep will greet you on arrival. He loves to be hand fed and given a scratch. 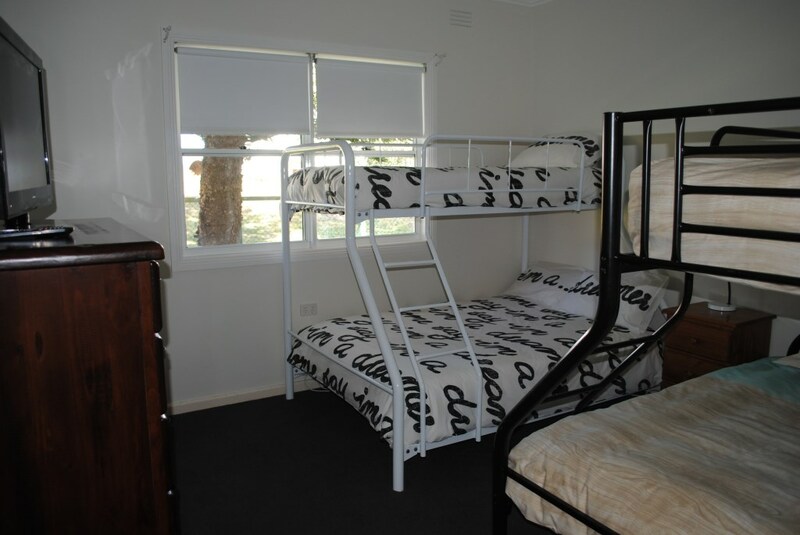 Bedroom 3 : 2 x sets of bunks - dble on bottom, single on top. Kitchen: Fridge, dishwasher, gas stove/grill, microwave oven. All crockery, cutlery and utensils. Garden: Large enclosed yard, undercover BBQ area with large outdoor setting. Car Parking: Ample room for cars, boats & trailers. Heating/Cooling: 2 Reverse Cycle air conditioners. Pets: Small dogs only, larger breeds by appointment only. 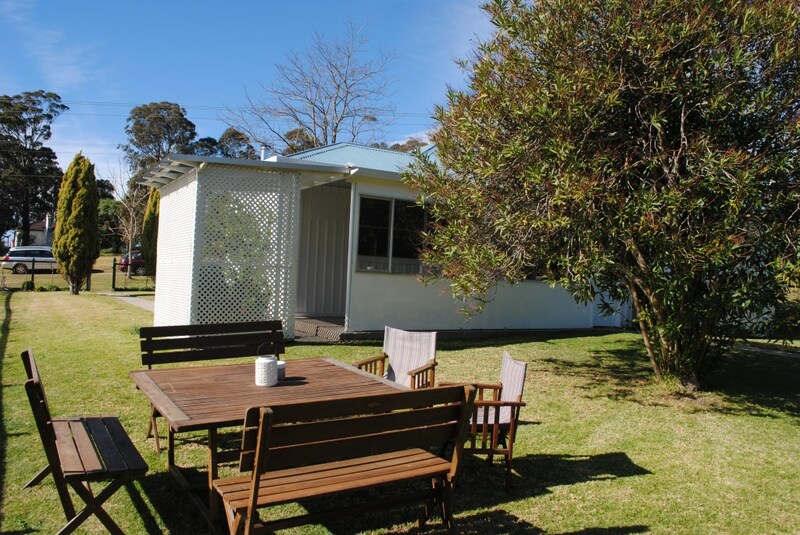 Activities close by: Short drive to Gippsland Lakes, perfect for water sports, fishing and swimming. World class mountain bike riding in Colquhoun Forest (2 minute drive), coastal beaches, explore nearby galleries, fabulous shopping in nearby tourist villages and towns plus great restaurants/pubs, weekend farmers markets. Please call 0429 019 030 for rates. SECURITY DEPOSIT REQUIRED: $500 deposit required to secure your booking and as a Security Bond during your stay. Call or email us for details.